Ford Frick served as Babe Ruth's ghost writer before being named NL President in 1934. In 1951, he was elected Commissioner. 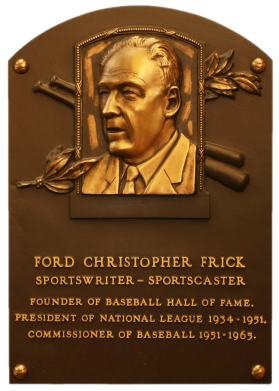 During his executive tenure he helped establish the Hall of Fame, supported Branch Rickey's signing of Jackie Robinson, and presided over baseball's busiest period of expansion before retiring. 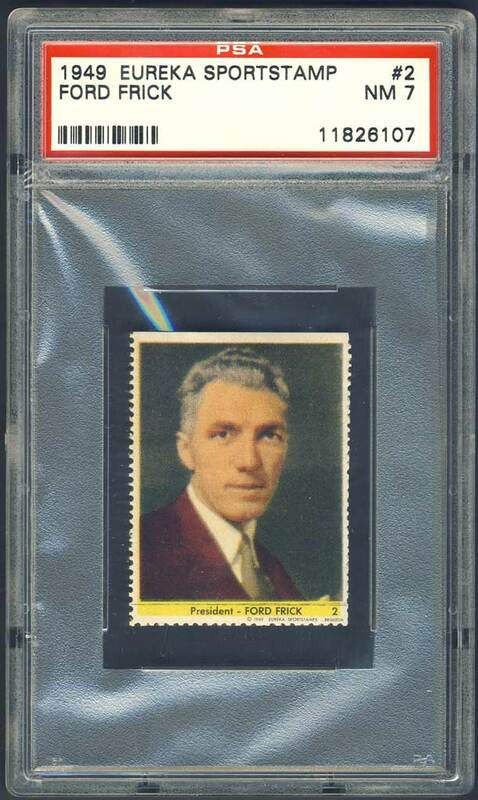 Description: The commissioner of baseball, president of the National League and 198 N.L. players are included in this issue. The stamps were issued on team sheets measuring 7-1/2" X 10", with individual stamps measuring 1-1/2" X 2". An album issued with the set provided short player biographies. The stamps feature coloried posed player action photos. 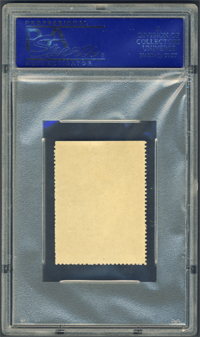 At bottom is a yellow strip with the player's name, stamp number and copyright line. Stamps are numbered alphabetically within teams.